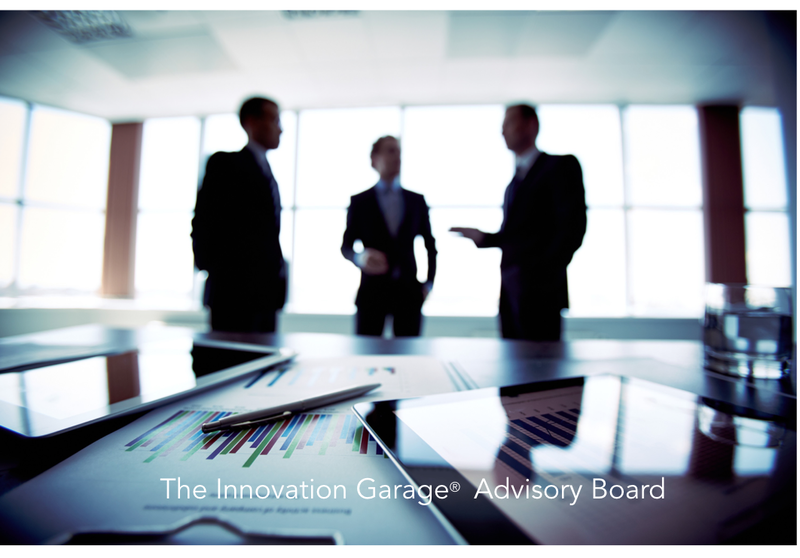 We are pleased to announce the advisory board members of The Innovation Garage! We are thrilled, honored and humbled to have them help us learn, grow, get smarter AND be available to assist in delivering further value to our clients. Their backgrounds and total experience (over 125+ years) are global and to say the least, diverse. Each has background and experience that covers many industries and global organizations. From local and regional government, to global design, supply chain, and Mergers & Acquisitions. Small, Mid-Market and Fortune 50. Check out their profiles below. We look forward to their advice, guidance and support as we build out our plans for long term growth so we can help our clients with theirs. Ajay is an engineering operations and innovation executive with 26 years of industry experience of which 7 are in Asia-Pacific. Ajay is skilled in disruptive innovation and new product development in industrial and consumer space in emerging and global markets. He has a successful record of leading large technology teams and delivering market differentiating multi-million dollar growth platforms with speed. He has extensive experience in leading functional teams across engineering, product management, supply chain, operations and services. Ajay is located in northeast Ohio. Ajay has worked at multi nationals such as Diebold, Ingersoll Rand, Stanley Black & Decker and Dresser Rand. The sizes of these corporations range from $3B to $14B in revenues & 8,000 – 50,000 employees worldwide. Ajay has established 4 offshore R&D centers: 2 in China and 2 in India. He has held positions of increasing responsibility from Senior Engineer to Senior Director and managed up to 150 employees with an operating budget of $20M. Ajay and his teams have developed and released 30 new products to market. Ajay has travelled extensively worldwide and has business experience in Europe, Asia-Pacific and North America. He has a broad business perspective with assignments in R&D, Product Design, Advanced Engineering, Product Management, Manufacturing, Reliability & Quality, & Services. 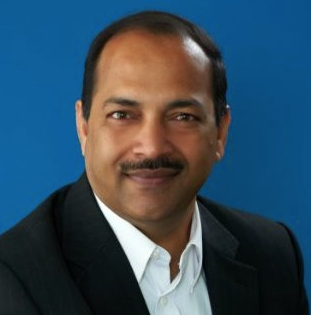 Ajay has authored 8 technology papers and holds 4 US patents. 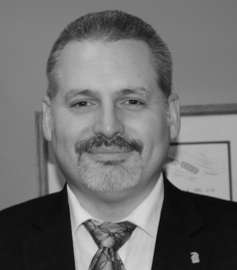 Aaron Matta is an advisory board member of the Innovation Garage®; bringing 14 years of supply chain experience with a focus in Indirect and Services strategy, sourcing, and supplier excellence. This knowledge was acquired through 6 years spent as a consultant along with 8 years working in various contributor and management roles. He is passionate about change management, organizational design and solving complex, systemic problems. Aaron is located in the greater Boston, MA area. 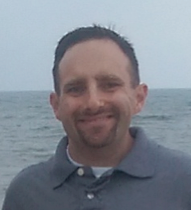 Aaron has worked directly for FreeMarkets, Ariba, and Diebold and is currently with American Tower. Additionally as a sourcing consultant, Aaron has supported many companies spanning a wide range of industries including: Alcan, GSK, Palm, Schering Plough, Sun Microsystems, TJX, and many others. Currently manages a sourcing team responsible for supplier strategy related to $200M+ in wireless construction and maintenance spend. Designed and managed a multi-phased org redesign to improve productivity, drive results, and increase internal customer satisfaction of his team. Previously managed a sourcing team responsible for $100M in service parts and $110M in construction and service spend. Supported M&A due diligence efforts to assess supply chain synergies of several possible acquisition targets. Has led and/or participated in 100’s of cross-functional improvement efforts. Aaron has participated in sourcing activities from many angles; having first managed e-Auctions, then progressed into a consultative role where he developed and managed sourcing pipelines for clients, finally put his theoretical knowledge into practical application in various corporate sourcing roles that further exposed him to real implementation challenges such as politics, and day-to-day management (i.e. supplier failures). He has even supported sales on negotiation strategy in competitive and online environments from a supplier’s point of view. Aaron enjoys challenges where objectivity and subjectivity collide; for instance, in cases where accurate data is critical to decision-making but often doesn’t tell the whole story or hasn’t been collected in a meaningful enough way. ISM certified in Foundations of Negotiations and Advanced Negotiations. James (Jim) Petroski is the founder and Principal Consultant of Design by Analysis Technical Consulting, with 35 years experience in thermal and mechanical engineering of diverse and difficult problems across a broad range of fields. Jim’s strengths lie in developing key insights into engineering analysis so that unique innovations and designs become part of a client’s product development. Jim is located in northeast Ohio. Jim has worked with companies in the LED lighting field extensively and with local industrial companies since formally launching his firm in 2014. His designs have been part of NASA space shuttle experiments, naval nuclear propulsion equipment and state-of-the-art LED lighting systems. In August 2014, Jim launched Design by Analysis Technical Consulting to provide key thermal/mechanical analysis and design services to clients in a variety of industries, formalizing a consulting business that had been in place since 1997. Prior corporate experience includes naval nuclear propulsion equipment design and testing, NASA space experiments (SAMPIE, PHaSE) thermal and mechanical design, hand-held and rack- mounted electronics equipment design, and extensive LED lighting system thermal and mechanical design (including 29 issued patents in the field). Former companies have included Weston Controls, Sverdrup Technology, ADF, Telxon, Diebold, General Electric, GrafTech and Rambus. Jim is a member of the ASME K-16 Subcommittee “Heat Transfer in Electronics”, an author of several technical publications in peer-reviewed conferences and journals, and a co-author of the book Thermal Management for LED Applications published in 2014. My name is Greg Warder and I am the Vice President and General Counsel of Diebold Incorporated’s $1.5B North American business unit. In my 25 years at Diebold, I have served in leadership roles in supply chain, sales operations, the CFO organization, and legal. These opportunities have provided a unique perspectives working with thousands of customers and suppliers globally. I am passionate about innovating deals to leverage benefits well beyond the typical vendor/supplier relationships. Greg is located in northeast Ohio. Also serve as General Counsel of Diebold’s Phoenix Interactive Software Company in London, Ontario. Responsible to help build out software business globally. Lead Attorney on Diebold’s largest outsources deals in history: Wal-Mart and Toronto Dominion. Lead Attorney on significant multimillion deals with Bank of America, PNC, KeyBank, Bank of Nova Scotia, BB&T, BBVA Compass, Cardtronics, JPMC, HSBC, Regions, and many other major financial intuitions in the world. Lead Attorney helping to create a business within Diebold that grew from nothing to over $1B in TCV in 5 years. Led Diebold’s global cost reduction initiatives. Developed supply chain for global product launch across 4 continents, led outsourcing initiatives with Celestica, Sanmina, and Flextronics. Served as a board member of a for profit start-up representing Diebold’s investment in a logical security company based in Omaha. Served in this role until the company was sold. I am passionate about helping businesses create innovative relationships. When I started negotiating 25 years I was told: “You win and make sure they lose”. Although well-intentioned and there is always a healthy competitive need to “win”, the best deals I have been a part of have defined winning by much more than dollars and cents. The best deals I have been a part of create incentive for each party to wake up every morning with enthusiasm and incentive to innovate, improve, and deliver more than what was originally thought possible. I desire to help companies get past the risk sharing and pricing debates and move toward value creation in contractual and deal structure. Chris Washington is the Director of Information Technology for Lyon LLC. Lyon is a $70MM industrial storage manufacturing company. 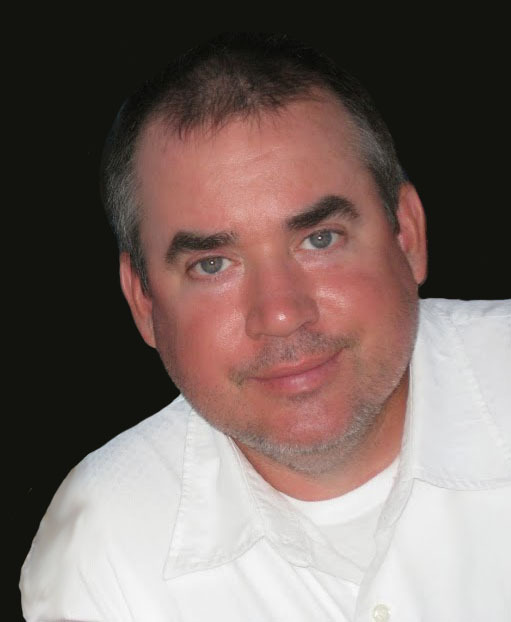 Chris has over 25 years of technology and business consulting experience. Chris has worked with a wide range of companies and government entities such as 4th Floor Investment Group, Airtronics, Andrew Corporation, Arens Controls, Easter Seals, Formax, Grainger, Imperial Foods, Lyon, Maac Machinery, Senior Industries and several municipalities. Medium to Large scale technology implementation to business processes. Design, Programming & Implementation of customized software solutions. Chris joined Lyon LLC in 2014 as Director of Information Technology after running a successful consultancy for 18 years. He is responsible for all technology initiatives within a large-scale manufacturing company. Including but not limited to computer equipment & systems, networking, WAN implementation, office technology, wireless communications, data analysis, general technology research and technology related contract negotiations. 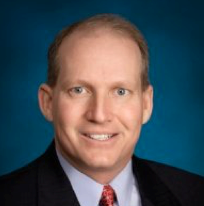 Chris is currently Chairman of the Board for The Andris Group Ltd. (Andris Communications and Consulting) in Wheaton, IL. Andris is a high level technology consulting firm focusing on small to medium size general industrial and manufacturing companies. Services include: Networking, LAN to WAN, computer equipment, telephony systems, intranet implementations, work flow analysis, database design and analysis. Mr. Washington is also a Managing Partner for Andris Capital Management (ACM) in Wheaton, IL. ACM invests and manages various business and real estate related holdings in the US. Mr. Washington is a past member of the Board of Directors for the L&D Group Inc. L&D was the owner several medium to large size manufacturing businesses. He advised on many aspects of the company with a focus on technology advancement within the family of companies. He earned a Bachelor of Arts degree with a minor in Business Administration from the University of Iowa. He is involved with the St. Baldrick’s Foundation and helping with his kids sports. 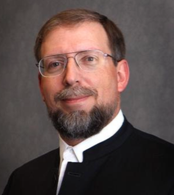 He currently lives in Wheaton, Illinois with his wife and two children. Michael B. Washington is a Trial Attorney with 13 years experience, known for solving complex problems utilizing innovative thinking, logic, and legal precepts. A 13-year veteran trial attorney experienced in criminal prosecution and all manner of public sector law. Coordinated with law enforcement agents concerning investigations and evidence analysis. Negotiated resolutions in thousands of criminal matters and civil matters including; road use maintenance agreements, oil and gas leases, pipeline agreements, property leases and sales. Michael has extensive litigation experience in civil matters; including but not limited to compliance with administrative rules, employment law, public records law, environmental law, and compliance with corporate statutory requirements.